The Maine Crafts Association supports artists by providing educational, marketing and retail opportunities. Our retail opportunities are through two retail galleries: The Center for Maine Craft (opened 2008) in West Gardiner, Maine and Maine Craft Portland (opened 2018) in Portland, Maine. The retail galleries sell the work of the MCA Members on an ongoing basis or short-term basis (like an exhibition or event). Members’ work is approved and selected for the retail galleries through a jury process (with some exceptions). We get many questions about this process – see our FAQ’s below, or, click over to the jury page for more info and to register for a jury. Q: I’m not am MCA Member, but would like to sell my work in the MCA retail galleries, how do I do that? A: Sign-up for a jury! Membership (professional level, $100 annually) is required of all retail gallery vendors, but it is not required before jurying. Professional Members do not pay a jury fee ($15), non-members do. If you know you want to join regardless of your “jury result” it would save you money to join before jurying. Q: I am an MCA Member who does not sell in either retail gallery and have never gone through the jury, what should I do? A: Sign-up for a jury. 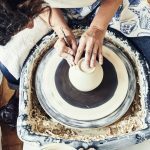 Q: I went through the Center for Maine Craft jury and was approved but still do not have my work represented there, or Maine Craft Portland, what should I do? A: We welcome an email to remind us about you and learn of any product updates (especially if your jury was many months (or years!) ago). You can email whitney@mainecrafts.org. Please note that we make an ongoing effort to review the list of approved artists and place orders, but also do find reminders and updates to be helpful! 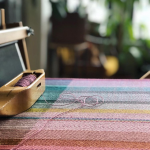 There is some work / products that meet our craftsmanship / quality standards, but may still not be a good fit – and may not end up in either retail gallery – we are happy to discuss this with members whose work ends up in this sticky spot! Q: I sell my products at the Center for Maine Craft, may I also sell at Maine Craft Portland (or vice-versa)? A: Our goal is for 70% of the artists and products represented at Maine Craft Portland to be different from those at the Center for Maine Craft. This goal promotes our objective to support as many artists as possible. So, as we add more vendors to each location we will give preference to artists not represented in the other location. Q: Okay fine, can I switch locations? A: You can request to switch, but ultimately the Retail Managers will make that decision. Q: Which artists are allowed to be in both locations? A: Many of the book, personal care and specialty food vendors are carried in both locations. This is could change in the future, but in many cases these are wholesale accounts and it is administratively easier, and saves money on time, ordering and shipping, for us to place larger orders with the same vendors. Additionally, this type of vendor is typically not part of our core membership demographic we set out to serve, however, their products jive nicely with the fine craft created by our artists. We have less of a mission driven interest in diversifying and can simply make a business decision to offer the products with a proven track record. The item or line sells very well and we know it will support our cash flow demands. We don’t know of another artist (or enough of them) offering a comparable product. We find that the product rounds out our display/selection in a way that we haven’t been able to solve with another new artist. A little bit of luck: We had limited time to curate and order (and hire staff, renovate, design, etc) Maine Craft Portland and open on time – in some cases, we took the path of least resistance and ordered from artists we already work with in order to meet the larger deadline and now need to shift the majority of new accounts to non-duplicating artists. Q: I’m going to jury, but prefer one retail store over the other – can I pick which one I am in if I am accepted? A: You may let us know which location you prefer, but ultimately the Retail Managers will make that decision. Q: Are there any exceptions to the jury – does MCA order from people who have not gone through it? A: Yes: Maine Craft Portland’s “opening inventory” was curated and ordered without a jury. Orders were placed with members, non members (who had to become members) who expressed interest though an artist form, we already worked with, we knew from a program or know from other networking. Additionally we waive the jury requirement for members to participant in some of our educational programming where staff has the opportunity to become very familiar with their work. Examples of this are artists who participate in our booth programs at CraftBoston or New England Made. In some cases we may also waive the jury for exhibitors in the Portland Fine Craft Show or artists participating in Maine Craft Weekend if those events offer an opportunity for staff person to get to know the work in a way similar to what the jury appointment would offer. 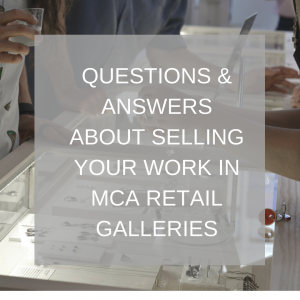 Q: Do I have to be a member to sell in an MCA Retail Gallery? A: Yes. Annual Professional level membership ($100) is required. Producers of food, books and other “complementary” products are allowed to be Retail level members ($25 annually) – which does not provide any other MCA Membership benefits. Q: If my work is approved through the jury, when will I get an order? A: There is not an exact timeline, however, your acceptance letter will tell you if the manager plans to order in the near future (right away, or for the next appropriate season) or, if your work is approved, but there are not immediate openings for it or plans to order right way. In some cases (usually jewelry or greeting cards) there is a waiting list – an existing vendor needs to be rotated out in order for your product to come in. Q: Do you place wholesale and consignment orders? A: Yes. Our wholesale budget is limited and is mostly used for complementary items (food, books) and smaller quick-selling items. Most of the craft product is on consignment. Q: What is the consignment percentage and when do vendors get paid? A: We pay artists 60% of the retail price (for example if a customer pays $122, the artist is paid $73.20). For items with a retail price $2000 or higher, the artist is paid 70%. We mail checks by the 15th of each month for all the sales made the previous month.